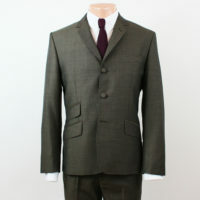 Here at last A real Two Tone shot Tonic Mohair suit. 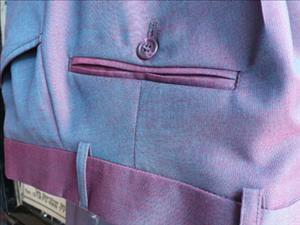 We have had the cloth made in the UK to the exact colour we wanted. It is the classic Purple and Blue/Green. 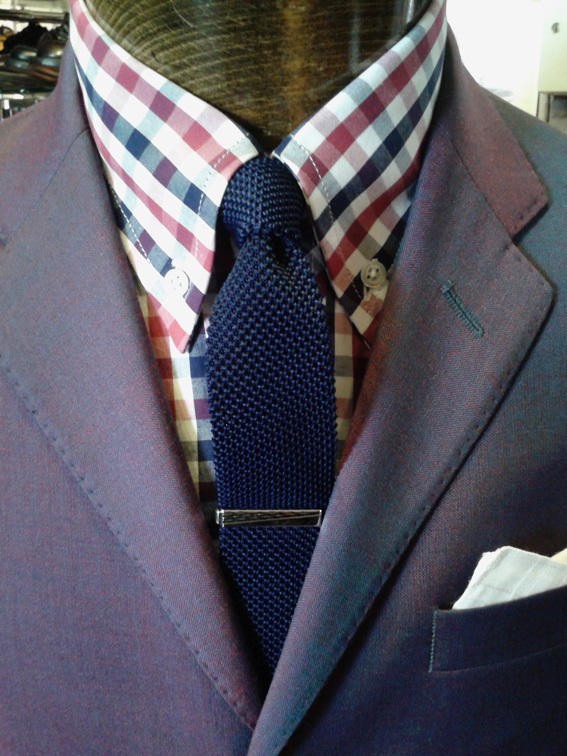 A predominantly wool mix this feels and looks just like you would want it to. 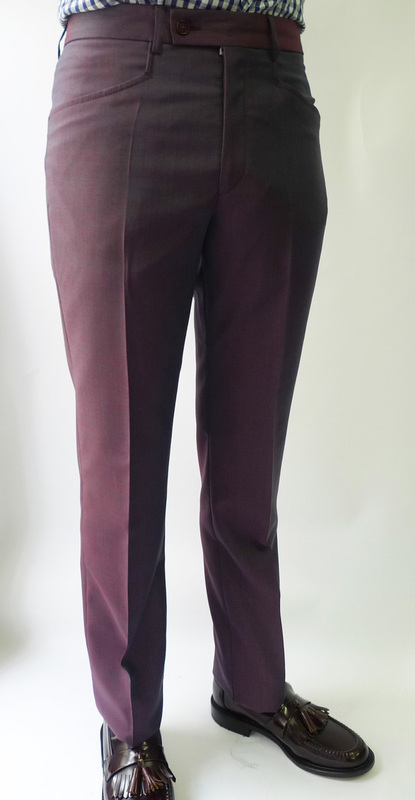 All the usual Jump the Gun details: twin vent covered buttons ticket pocket and tapered trousers to an average 15.5 inch bottom. 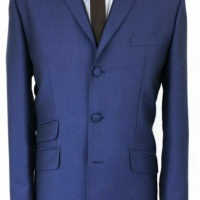 As usual our jacket is cut quite short and the trousers are narrow. 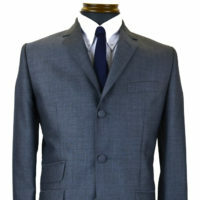 Nothing else to say except we really think it is a good as a Tonic suit gets.